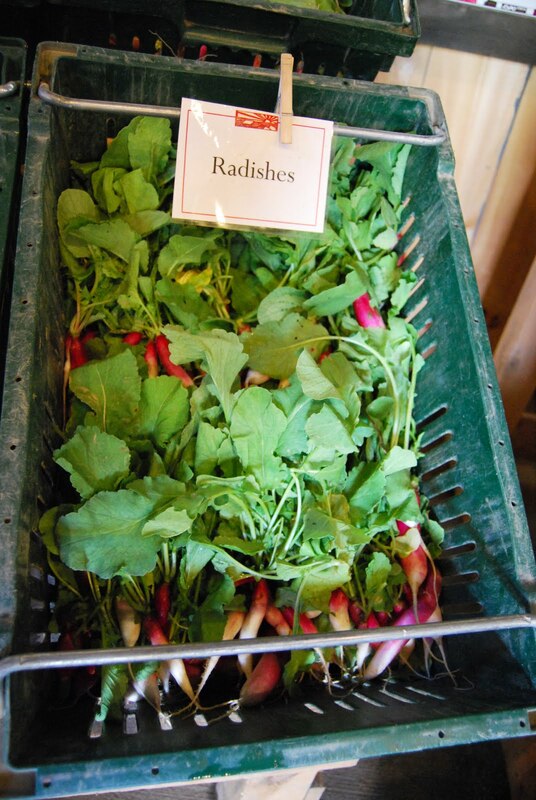 New last week (but not blogged about): these elegant, tiny, elongated red and white radishes. Crunchy and a little peppery. Great in salad. New Englanders are SO nervous about this year's tomato crop because ALL our tomatoes died last year from blight. 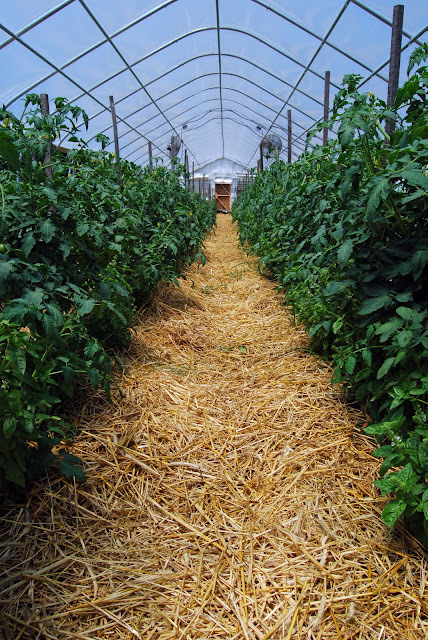 This year, the farm is growing some tomatoes inside a greenhouse to protect against blight. 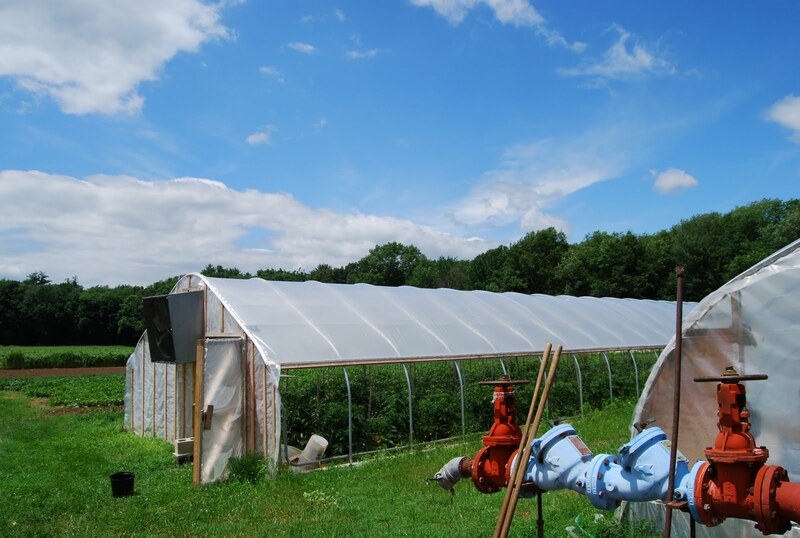 In the mean time - while they ripen - New Englanders are bracing themselves for the possibility of more blight by pretending we never really liked tomatoes to begin with. We are pretty much failing. I think I could nestle right down in the straw and live in that greenhouse. Happily. The green house is cool..